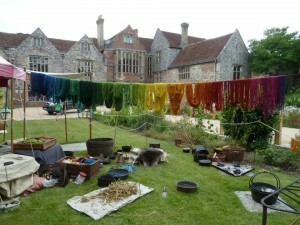 The Outside were dyeing wool and silk with plant material at the Salisbury Contemporary Craft and Heritage Fair, where I was exhibiting earlier this month. They were using bronze pots over a wood fire (raised up so as not to damage the Cathedral lawn), and I was intrigued to discover their background is Living History, Botany, Archaeology, heritage education and heritage crafts – being able to make era-appropriate clothes for re-enactors, for example, at places like the nearby Chalke Valley History Festival. It reminded me again of the pleasures of ‘discovery’ – like on Time Team. Driven by curiosity, re-interpreting the past and present in the light of new information, it’s really the scientific method, I suppose: or the initial human impulse that leads to it. Worth remembering, I think, in a time when people are suspicious of ‘experts’ and their pronouncements. Real discovery is full of trial and error, it’s hard won. It’s polititians and journalists who have to turn it into a soundbite. For me, discovery is always driven by materials. The Outside had some fabulous Herdwick wool – usually used for carpets – but here soft and beautifully flecked. 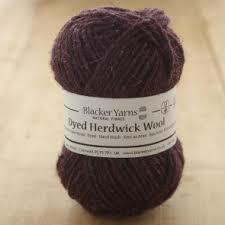 It can be scratchy (see this post) but I am very, very tempted by Blacker’s purple Herdwick. In the spirit of discovery, though, I’ve decided to spin my own yarn, after finding a wonderful pattern for a spinning wheel (I’ve spun with a drop spindle, but, well, I have a thing for wheels). 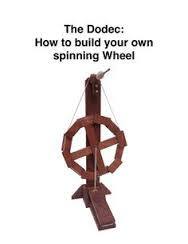 This is the DODEC wheel, plans available free, online, and with a number of charming videos on how to build and use it online, from Edmond Dantes. I don’t know if that is a pen-name or not. It’s surprisingly hard to find out more, but there’s a charming picture of the family here. It’s somewhere in the USA. Is the accent Virginia? 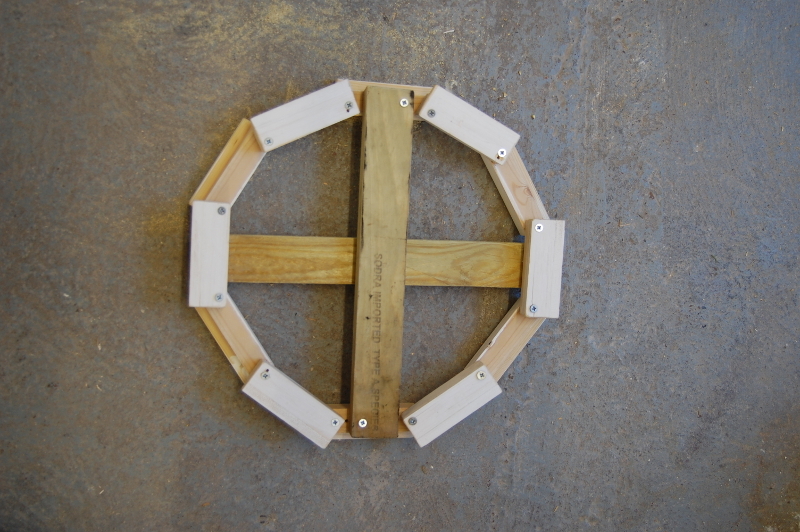 So far, I have made the frame and the wheel, all from scrap wood found in Tulse Hill (a rich source of fly-tipped rubbish). 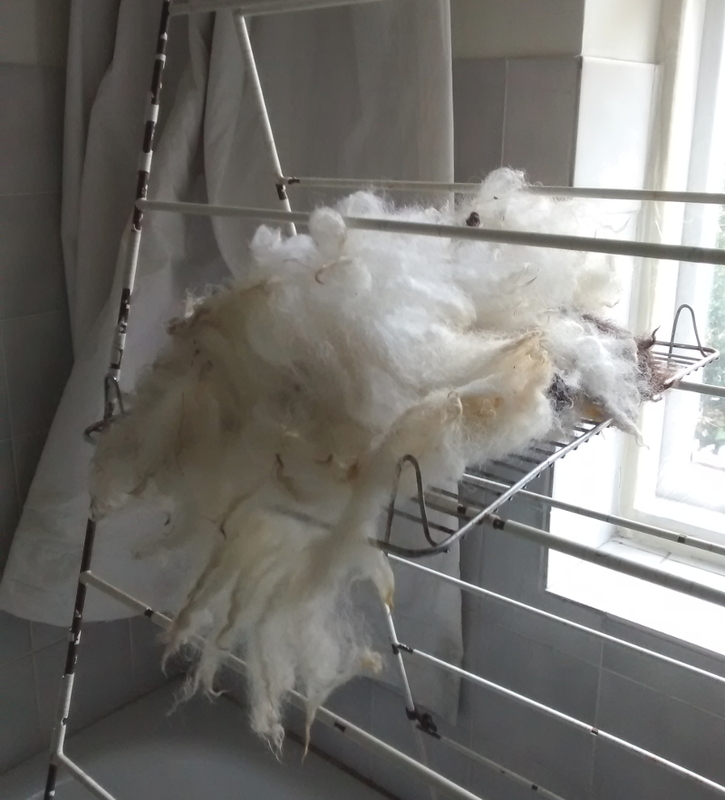 I’ve also started processing some fleece ready – Jacob’s sheep, so naturally brown and white, a gift from my residency at the Godolphin School. 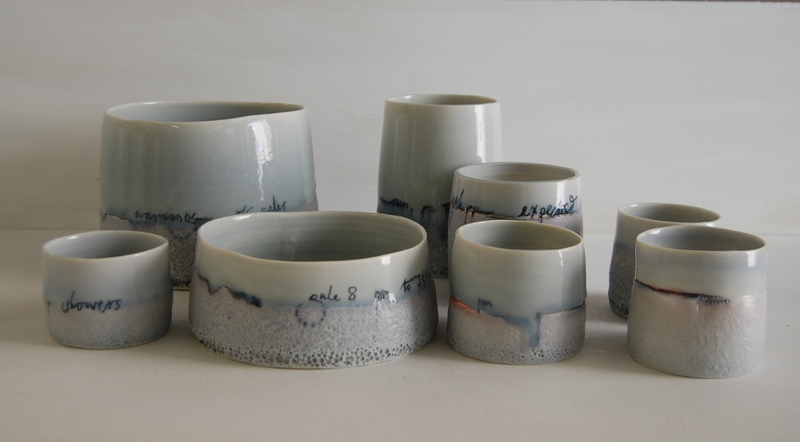 By the way, all the ‘nadder, wylye’ pots sold! I’m showing next at the Affordable Art Fair in Battersea, with The Columbia Road Gallery. 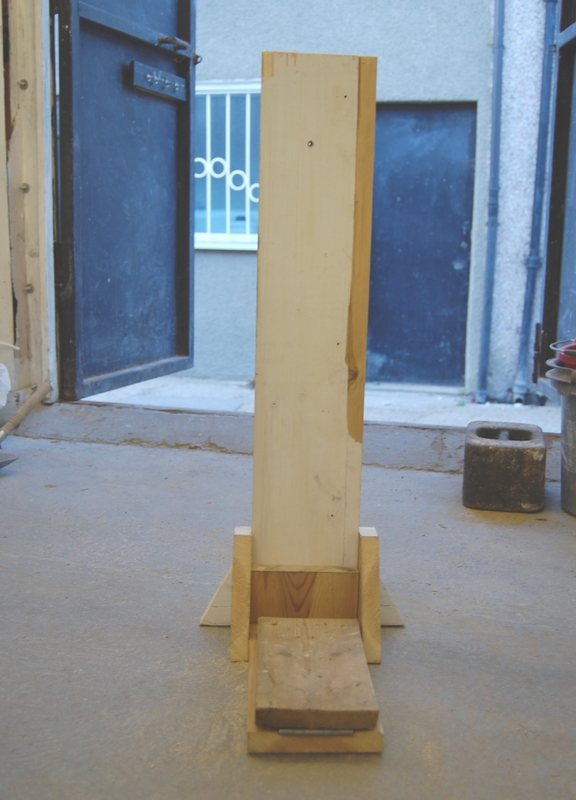 Early peek at the work below….